Whilst we all know the many benefits of VoIP, there are certain situations where customers don’t want to upgrade existing PA systems. This could be down to the complexity of upgrading or a lack of resources and knowledge of the products that are available. Analogue systems are sometimes overly complicated to implement, and most VoIP installers shy away from it. 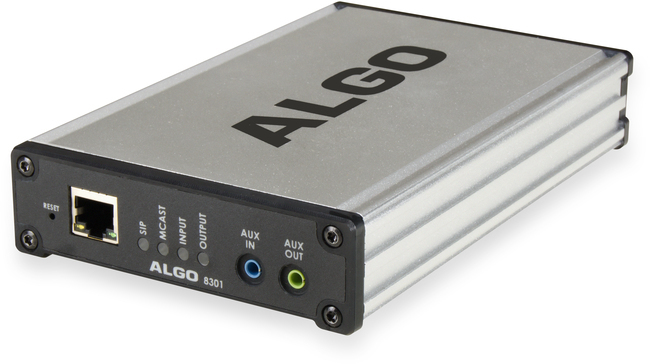 But it doesn’t have to be that way, with Algo’s product range implementing and integrating IP paging is easy. Ideal for use in hospitality or public sector environments, the 8301 can be applied to an existing analogue system and convert it to integrate with most VoIP systems – giving your customers the advantages of an IP system at a fraction of the cost. On top of this, the 8301 can also add enhanced features such as multicast, music streaming and scheduling of pre-recorded messages to the system. 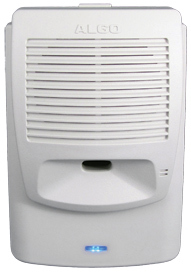 Unlike traditional paging speakers, the 8180 is powered via PoE, removing the need for excessive cabling. This can integrate with the 8301 or link up with any SIP based IP phone system to offer an all-round solution which can be remotely managed online. Both the Algo 8180 and 8301 have a relay input enabling you to add a connection to an emergency button which can be used in emergencies to trigger a voice alarm.